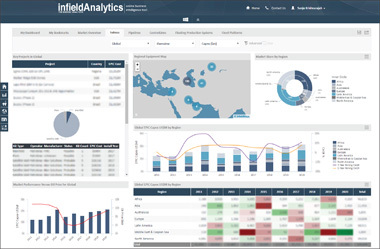 The Middle East and Caspian Sea Regional Interactive Dashboard to 2019 provides capital expenditure and installations forecasts for each market sector within the offshore oil and gas industry, including: fixed platforms, floating production systems, subsea, SPMs, pipelines and control lines. For each market sector, capex and installation forecasts can be further analysed by: operator, country, water depth as well as by other key sector specific components. 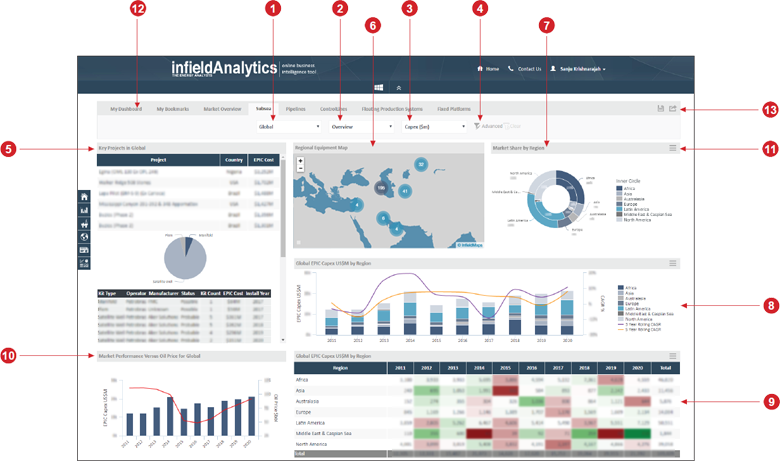 The interactive online dashboard enables clients to perform independent analysis on each offshore sector within the Middle East and Caspian Sea. Navigational controls enable the user to immediately recompile the information shown according to their preference. This new management information system offers our clients the ability to subscribe to access a single quarter’s forecast for a period of 12 months, or to subscribe to this dashboard for a year to obtain quarterly updates.